Another year, another Soundset, and this year was nothing short of outstanding! I am a huge hip-hop fan so naturally I look forward to this festival every year. The line-up this year was pretty special and included new up-and-comers along with established hip-hop veterans. Last year was our first time at Soundset and we had a blast. Great artists, great people, and an awesome venue. The festival was at Canterbury Downs again this year (for the last time...) which proved to be awesome yet again. I did notice a definite increase in attendance this year (or perhaps it was just an increase in the number of tickets sold) which is probably why they decided to move to a larger venue in 2016. As I mentioned earlier, the line-up this year was extremely diverse with artists from many eras of hip-hop. Everyone from the hot young up and comers like Logic, J. Cole, and Big Sean to seasoned vets like Ice Cube and Ludacris. Beyond just the headliners was a huge mix of excellent talent from Minnesota artists such as deM atlaS and Dessa along with talent from outside the midwest like Hopsin, SonReal, and Vince Staples. Personally I was most excited to see Atmosphere, Logic, Big Sean, Ice Cube, and SonReal. Unfortunately due to a timing issue I wasn't able to get over to see SonReal but the rest of the acts I went to see were absolutely outstanding. If I had to pick a top 3 of all the performances I saw yesterday it would be (in order) - Logic, Big Sean, Ice Cube. Logic grabs the #1 spot because I rarely see an artist so excited to be performing, his energy was infectious! Anyone who attended (or who lives in Minnesota) knows that yesterday was really wet. While it didn't straight up pour at any point it rained consistently throughout the day so everything was quite soaked. There were a good number of people camped out in the VIP tent (which had really nice HD displays of the stages) but the vast majority of us "manned up" and got wet. We spent most of our time in the VIP bleacher section so mud wasn't an issue but the venue did a great job of spreading hay around the grounds to avoid any major mud pits. Of course good weather is always better (last year was amazing!) 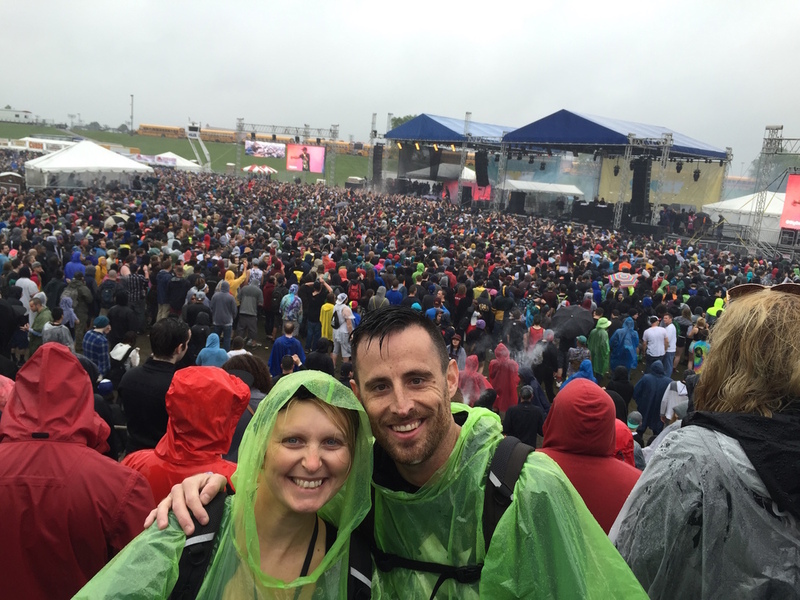 but the rain didn't put a damper (put intended) on our fun what-so-ever. After spending last year in GA and this year in VIP I can safely say that (at least for the current venue) VIP is a no brainer. We had access to great bathrooms, better food, cocktails, (only beer for GA) and great seating. As I mentioned above, Soundset will be at the State Fair Grounds in 2016 but I am still going to opt for VIP in hopes of an even better experience next year. That's all for this year but I look forward to an even bigger and better Soundset in 2016! Soundset photo album on Flickr.